Home battery display iPhone XR Oneplus 6T performance processors Apple iPhone XR vs. OnePlus 6T: Which Lower-Priced Flagship Rules? 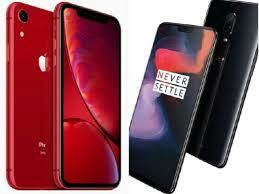 Apple iPhone XR vs. OnePlus 6T: Which Lower-Priced Flagship Rules? When it comes to OnePlus 6T it offers an amazing powerful performance and an awesome design. Both these two phones offer one of the best specs out here. Can OnePlus 6T defeat iPhone XR? In 2018 we have seen three new device launched from Apple. Apple launched iPhone XS Max, iPhone XS and lastly iPhone XR. All these phones are similar in performance but iPhone XR has a better design. Let's find which is the best phone among the two. When it comes to these two phones you will find a powerful processor powering the two phones. Snapdragon 845 is powering OnePlus 6T. It will offer a performance that can tackle any issues thrown at it. Snapdragon 845 is powerful but it's not as powerful as the A12 Bionic chip found on iPhone XR. This same chip can be found on iphone XS Max and iPhone XS. The RAM on iPhone XR is not as big as that on OnePlus 6T. On this phone you won't find any microSD card slot. IPhone XR can easily handle any task thrown at it. It has one of the best performance. When it comes to the battery capacity, OnePlus 6T has a 3,700mAh battery capacity and iPhone XR has a 2,942mAh. These two phones can last a full day of use though OnePlus 6T can last a little bit longer. IPhone XR supports wireless charging and it also supports fast charging although you can buy the fast charging cable. On the other hand OnePlus 6T has its own super fast Dash charging. With these two phone you will get the best of the best. Their battery life, performance and charging is on point. On this aspect things are quite tricky. Both these two phones look awesome and attractive. OnePlus took everything nice on OnePlus 6 and decided to include them on OnePlus 6T. The notch on OnePlus 6T is a dewdrop design and it has an in display fingerprint scanner. When it comes to iPhone XR it looks like a combination of iPhone 8 and iPhone XS. 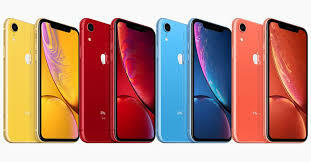 IPhone XR has a variety of different colors. Both these two phones have the best in design. They don't disappoint. When it comes to durability these two phones are made of glass. You will need a protective case to protect your phone. IPhone XR supports water resistant while there is no water resistant on OnePlus 6T. With OnePlus 6T you will need to be careful around the pool. This is tough round to judge. Both these phones have a state of the art design. The water resistant feature on iPhone XR gives it an added advantage. IPhone XR has a new amazing display called the 'Liquid Retina'. This is an LCD Display that has the ability to curve. The tech used on the display is quite good. It has a picture resolution of 1792 x 828. OnePlus 6T has a picture resolution of 2340 x 1080. The screen on OnePlus 6T is better than that on iPhone XR. It also has an AMOLED screen. OnePlus 6T is the clear winner in this round. On OnePlus 6T you will two cameras. There is a 16 megapixel camera and a 20 megapixel camera. The camera on OnePlus 6T is better than that on OnePlus 6. It can now shoot better pics in night mode or in a low lit room. This is the best camera from OnePlus and its ability to take great pics is really impressive. The camera is good but it's not as good as that on Google Pixel 3 or note 9. On the other hand iPhone XR has just one rear camera. It has a 12 megapixel primary lens which is the same as that on iPhone XS. IPhone XR supports smart HDR. With both phones you can capture videos in 4K. OnePlus 6T has a slow motion feature while iPhone XR doesn't. Selfie on iPhone XR are better because of its TrueDepth feature. TrueDepth provides amazing pics in Potrait mode shots. Its camera is superior thus wins this race. On OnePlus 6T you will get the latest version. It comes with Android 9.0 Pie. You will also find their Oxygen OS. When it comes to updates OnePlus 6T receives updates on time. So you will not be disappointed with updates on OnePlus 6T. It will soon be updated to Android Q or even to Android R.
The updates on iPhone are always faster than on other devices. This is because apple has a direct line to its phones. IPhone XR comes equipped with iOS 12 which is the latest. IPhone phones will surely love this phone. It is always difficult to compare an Android to an iOS. They are very different. It's like comparing day and night. The most fun feature on iPhone XR is its TrueDepth camera. The camera is important for face ID and also supports Animojis. Another favorite feature is the gesture navigation. It has a Haptic touch. OnePlus 6T has some cool features. It has a gaming mode that focuses on network traffic and performance. The in display fingerprint scanner is quite fast. OnePlus 6T has a a night time mode and a reading mode for eye comfort. Apple's iPhone XR may have cool feature but OnePlus 6T has more awesome features to play with. You can buy OnePlus 6T for just $549 and you can buy iPhone XR for just $750. This battle was tight. IPhone XR is more powerful, has a better camera and its water resistant feature gives it an added advantage. This doesn't mean OnePlus 6T is a bad phone. Snapdragon 845 is powerful but not as powerful as A12 Bionic. OnePlus 6T has one of the best designs of 2018. At the end of the day, iPhone XR is better than OnePlus 6T in most categories. If you love Android or you are currently on a budget then OnePlus 6T is the phone for you.